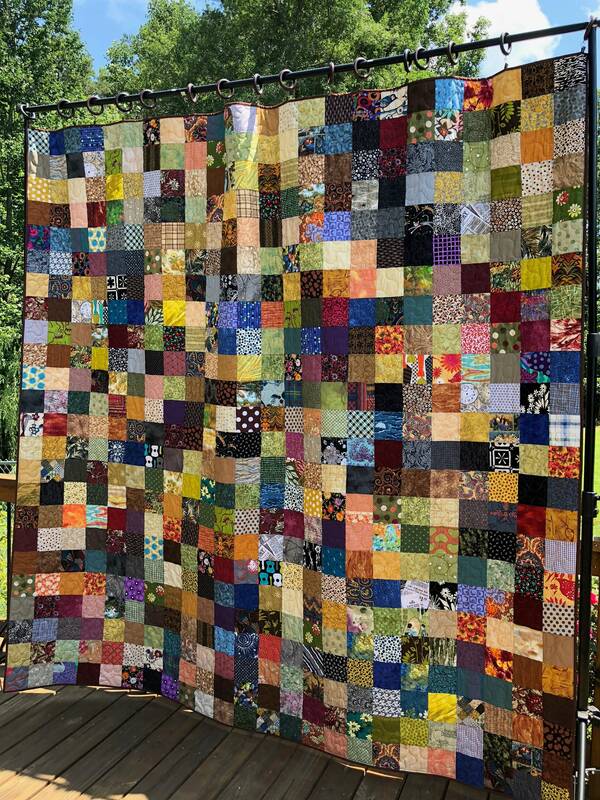 Queen size patchwork quilt featuring rich fall colors. Quilt is made with new quality cotton fabric cut into 4 inch squares. The batting and thread are 100% cotton. The backing fabric is a mottled brown quilting cotton. Quilt has been professionally quilted in an all over meander pattern. Perfect for fall decor. Thank you for visiting Quilts Modern where traditional quilts are made the modern way!